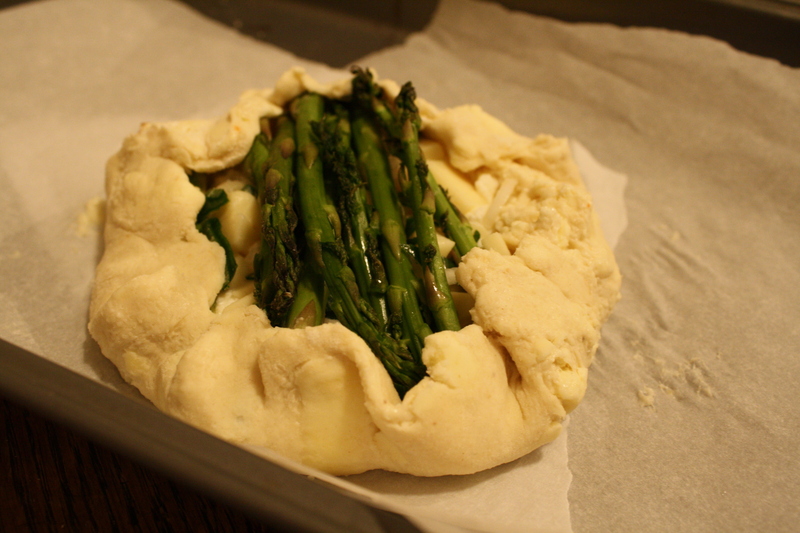 Fresh asparagus. Creamy cheeses. A buttery crust. A runny egg yolk. Yum. 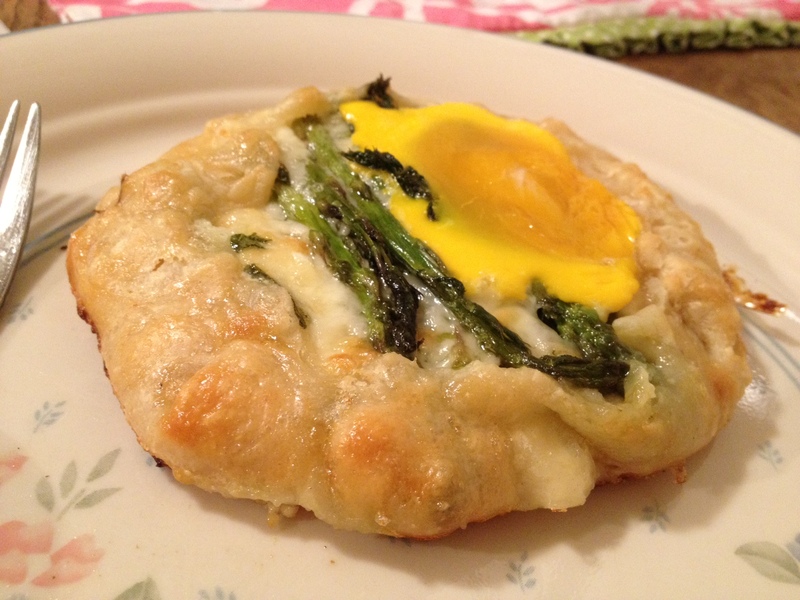 I found Mini Asparagus Breakfast Gallettes from Oven Love on Pinterest. I knew I had to make these. I also recently watched Julia Child make two gallettes on PBS’s Lessons with Master Chefs. One had berries, one had cheese and tomato. They can be sweet or savory, miniature or larger. I opted to make a personal size gallette, and used just half of the half of the dough recipe I made the day before. I flattened the dough out so it was sort of a circle. I use the term “circle” very loosely. 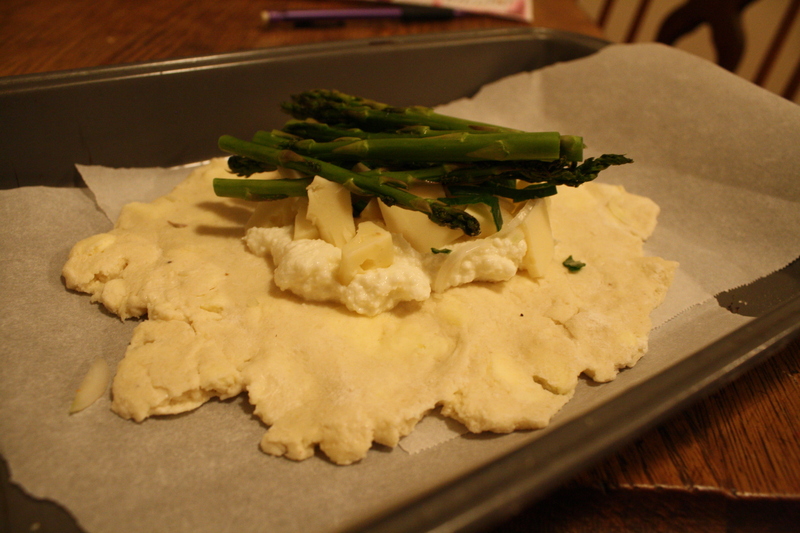 I added a spoonful of ricotta (which I’ve been mixing into all my pasta dishes lately, and I’m hoping to make my own very soon), some fontina cheese, a few pieces of the spring onions from the farmers’ market, and then the tops of some nice thin asparagus. When the gallette was just about done, I placed a single egg yolk on top. These are wonderful fresh farm eggs. 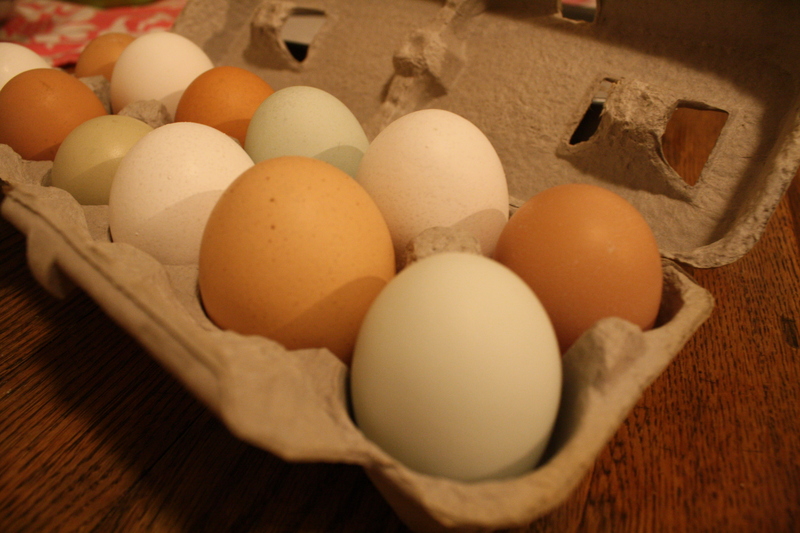 Different types of chickens lay different types of eggs — even light blue ones. Now I’m always paranoid that my egg isn’t going to be cooked long enough, so I think I overcooked the yolk slightly. 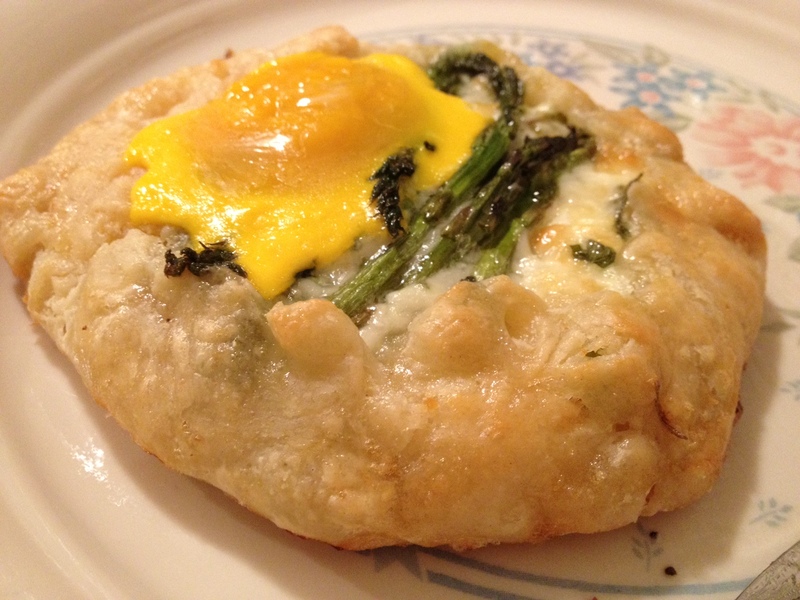 A minute less would have kept the yolk gooey and runny. But still, it was pretty delicious as it was. I still have half the dough in the fridge. Dinner tomorrow! Or dessert. I’m tempted to fill the gallette with some strawberries. Either of these fillings would be lovely for Easter brunch this weekend, or any special occasion. Or on a Saturday just because. Next ›Do I have a green thumb this year?